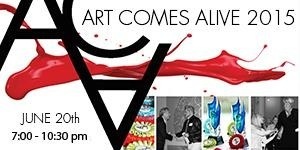 I’m honored to announce that I’ve been selected for Art Comes Alive 2015 final exhibition! My work will be featured alongside 150 other finalists at Art Design Consultants in Cincinnati. If you’re in Cincinnati, there is an opening reception this Saturday, June 20, and you can purchase tickets here. Otherwise, check out the exhibit before it closes on July 24. ACA is an art competition and regional exhibit open to North American artists working in any medium or style, hosted by ADC, Art Design Consultants. The main objective of the exhibit is to award artists for their exceptional work, connect them with the appropriate people in the art business for networking opportunities, and find new artwork in all mediums and subjects to showcase and ultimately sell.